Bosa suffered an abdominal injury in September and was expected to miss most or all of the regular season. 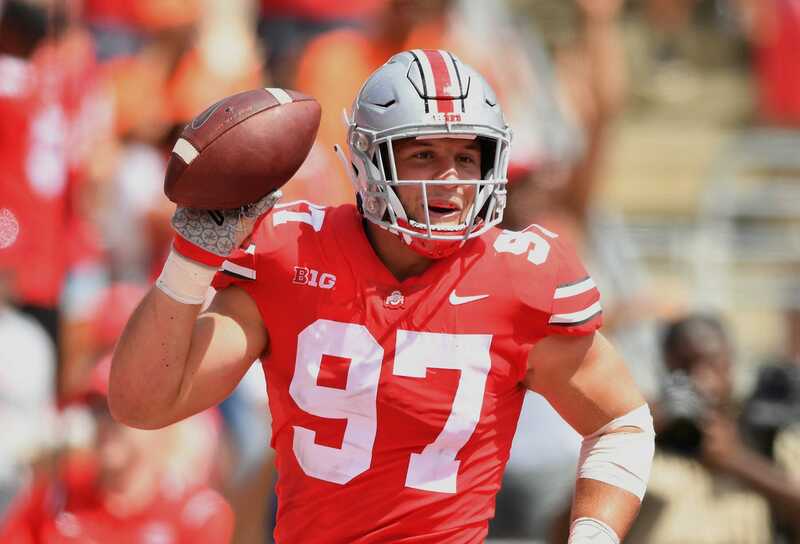 Bosa is the younger brother of Los Angeles Chargers defensive end Joey Bosa and was projected to be one of the top picks in the 2019 NFL Draft. Nick Bosa’s college career is over. Ohio State University released a statement announcing that the star defensive end intends to withdraw from the school to concentrate on rehabbing his abdominal injury and preparing for the 2019 NFL Draft. “The Ohio State football program will no longer realise the talents on the field of All-American defensive end Nick Bosa, who decided this week he intends to withdraw from school to devote more time to his rehabilitation and training efforts,” the school said in a statement. ESPN’s Todd McShay ranked Bosa as the top player available in the upcoming draft. Bosa, the younger brother of Los Angeles Chargers defensive end Joey Bosa, injured his abdomen against TCU and later underwent surgery. He was expected to miss most or all of the regular season. Head coach Urban Meyer released a statement.